I will be quite honest with my readers. I sat here in front of my laptop trying to think of a topic that would be reviting and also would get people thinking. However, quite frankly, I'm tired. Sad to say but this school thing has really began taking a toll on me... But I'll manage. However I did see Melba write something that with the slowly increasing coolness in the air (christmas breeze) really inspired me and that is the simple word Christmas! In case you haven't realized, I really love christmas. Yes we dont have snow in Jamaica or do any of our houses actually have chimney's for Santa to come through, but we do have our own unique ways of celebrating the season. Sadly gone are the days of Jonkunnu to scare children during christmas time. However we still have the traditional grand market and also we have not lost out love of our traditional christmas ham and sorrel. Today is exactly 45 days to Christmas and for the first time in years there is nothing happening to tell us that it’s that time of year. The only one signaling is Mother Nature. Yes, Christmas breeze has started to blow. I had to turn on the hot water heater this morning for the first time in months. However, the activities which usually start before the home preparations such as planning of office parties and other social events are non-existent. Not even Christmas carols are being played on the radio stations as yet. This recession thing has surely hit us. For people like me who really get excited about Christmas, we can’t afford to let a little thing like recession spoil it for us. So, it means we will have to find a way ‘to have we cake and eat it’. We will need to prioritize the essentials of Christmas and get them at the most economical way possible or as my granny would say ‘tun wi han mek fashin’. So what are the must haves; the house needs a make over, we need to have sorrel drink through out the season, Christmas cake or pudding for Christmas week, decorations, Christmas ham for Christmas dinner, presents for the children in our lives and cards for loved ones abroad. First things first, we need to visit that closet, yes, that neatly stacked closet that we have no idea what’s in. I bet we’ll find curtains, bed linen, bath room mats and shower curtains to change around that will give the house a different look for Christmas. If you’re handy with a sewing machine I’m sure you can even find ways to enhance some of what you already have to give it a brand new look. Cards are easy; there are ‘nuff’ free greetings card sites on the computer. True Juice sorrel get a blow this year, we’ll have to make our own. Shop around now and get a nice piece of pork at a good price. Then take it to somewhere that cures it, such as Daken Farm Ltd, downtown Kingston. It works out much cheaper. The Christmas pudding we’ll have to learn to bake, no more ordering out. The presents for the children might be tricky, but I’m sure if we start scouting around from now we will be able to find a bargain or two. The important thing is to plan. Get those lists going early and start the bargain hunting. For instance raisins for the Christmas cake or pudding can be had for over $200.00 a pound uptown (or maybe more) but if you go to Tower Street downtown raisins is for $120.00 a pound. Or you could pool with your friends or co-workers to purchase in bulk. I’m sure when we put our thinking caps on we will find that there are ‘nuff’ little ways that we can save. Just don’t wait till the last minute and then end up panicking. “I gone mek my list, cause I’m a Christmas te tes and I plan to enjoy every moment of the season”. Christmas breeze, Christmas breeze a blow.Christmas breeze, Christmas breeze a blow.………..
We are currently sans commissioner and of course people have begun sending the government their resume's to see if they can gain the post of Jamaica's top cop. Of all the people currently trying for the post the one which is causing the most national excitement is of course Renato Adams. For all those who dont know Renato Adams is a currently retired policeman who was most well known for his involvement in a number of controversial police operations which lead to the deaths of many people. Though he has been found innocent on all the charges there are many who still believe that he was in fact the cause of the killings... Of course everyone is entitled to their own opinions. Renato Adams in a recent interview has laid down the gauntlet and stated that he in fact wants the job and has stated that he would be the best choice for leader due to the fact that most of the previous leaders have been desk commissioners and that he would lead from the front and not be just a mere figurehead. In this way he would inspire the force from the front and help the fight against crime. All around Jamaica people are saying a resounding 'YES' to Renato Adams for commissioner of police, due to his strict, no nonsense attitude to criminals and crime fighting and they see this attitude as necessary to stem the current crime spree that is torturing Jamaica daily. However the issue arises as to whether or not his presence will be the single cause for a lessening of crime. In essence, I can see where this makes sense, the crime problem seems to be a problem of indiscipline, with people seemingly showing no care when they commit any such crimes. Some crimes are done in broad daylight in the middle of highly public places such as Half Way Tree square and some are done with such blatant disregard that it seems that really and truly we need this type of police to stem crime. My opinion: We have tried everything else, and none of these things seem to work... Maybe its time we try something/someone else? Today the Passport, Immigration and Citizenship Agency (PICA) announced that effective November 16, 2009 the cost of a Jamaican passport will increase between 80 and 380 percent. Bearing in mind that many persons use there passport not only for travelling but for identification purposes as well, especially for banking or legal issues, I believe this increase is very unreasonable. In fact looking at all the requirements for travelling overseas, passport, visas and airline ticket the overall cost of travelling is fast becoming out of reach of the average Jamaican. The first requirement to travel internationally is a passport. As announced today the price of a passport will increase by 80 per cent, for adults from $2,500 to $4,500 and for a child, from $1,500 to $2,700. If by chance your passport is stolen or lost the replacement fee increase will be 380 percent from $2,500 to $9,500 for an adult and from $1500 to $5700 for a child. The next important requirement for travelling is a visa. This cost varies depending on your destination. The United States, Canada and the United Kingdom are the more popular destinations for Jamaicans. A nonimmigrant visa to the USA will cost $131.00 USD ($11700.00 JMD). The cheapest visa to England is $10400.00 JMD for a nonimmigrant visa valid for six months. Canada starts at $75.00 CAD ($6225.00 JMD) for a single entry visa. These fees are non refundable and do not guarantee you a visa. So the possibility is that you could put out all this cash for nothing. Now, the price of the visas are already high, but what really gets me about the process of getting a visa is the fact that you are compelled to go through one agency or another in order to apply. To just obtain visa information and schedule an appointment for a nonimmigrant US visa interview the cost for the Call Center option is $13.00 USD ($1157.00JMD). You can no longer just go and join a line at the embassies. Oh no…You must first pay the bank for a bank draft/managers cheque, bank statement plus a JMD $150 transaction fee, per application (fee varies by banks). Then you must pay a delivery service such as DHL, $750.00 JMD to drop off and pick up the documents at the embassy. For on line self service there is a cost of $10.00 USD ($890.00 JMD). The list varies from embassy to embassy but they all have extra cost attached. Even to go to the Cayman Islands we have to pay to get police records in order to obtain a visa. Once you have managed to acquire your passport and visa you now have to purchase your airline ticket. ‘From fuel did rise, airfare did rise, however when fuel did drop, it was on its own’. By the way the government taxes are almost as high now as the price of the tickets. If you are going to Florida 90 miles away the airfare is approximately $200.00 USD and the taxes is $100.00 USD. Naturally the further away you go the more money it cost. So, after you have put out all that money, there is none to take on your trip. You must now go and sponge off relatives. OK so travelling is not a necessity. That is no reason to kill it. The foreigners have made it very clear that they don’t want us in their countries. The United Kingdom visa has increased 3 or 4 times since this year 2009 alone. (So much for being a member of the commonwealth). Now, it’s our own government trying to milk us for everything they can. Again I say 80 percent is unreasonable. In my experience travelling has been my greatest teacher. There is so much to be learnt from the exposure gained from travelling. I do believe if more Jamaicans had the opportunity to see what life is like on the other foot they would be able to better appreciate what we have and learn to cherish it more. What is the purpose of a degree if you cant use it? So last week Friday I graduated from the University of the West Indies with a B.A. throughout all the congratulations and cheers I was getting from all my family and friends somebody presented me with a question that I have been thinking about since it was asked to me. The question is simply “So how does it feel?” Of course most people would have said, but this is a really easy question to answer, it should feel good, I should feel on top of the world right now... However my answer to the question asked to me was – “I feel pretty much the same”. Now this is not to say that the degree was not something I am proud of myself for or am I discounting the fact that the mere fact that I have a degree places me in a strange position as one of the few people who actually have one in Jamaica. However the world of opportunities which should have come with the degree just haven’t seemed to reach me. Of course my experience is slightly different because I am currently pursuing the Bachelor of Laws, however I have to use the experience of my friends who I know have first degrees and are not actively working, or who are doing more research based projects or have had their lives changed in some major way since finishing their degrees. One example of this is a friend of mine who has done a degree similar to mine. This guy is a particularly brilliant Historian who I commend daily for his in depth understanding of and love of history. He was unable to find himself any employment within which he would be able to impart his knowledge of or use his knowledge of history, and so went to prominent high schools volunteering his services as a teacher. Not even in this light he was successful, and to me this is quite disappointing, especially in light of the fact, that he isn't the only person I know who has graduated over the past weekend and is still in need of employment. This is a far reaching problem affecting the majority of my compatriots. It is also difficult for us students to even consider a further course of study at the postgraduate level because the costs incurred are greater than we can afford and of course it is almost impossible to gain employment to afford further study. The issue is therefore clear, what does one do with a degree if they cant utilize it? What is the point of spending 3 years and hundreds of thousands of dollars is afterwards you are basically still where you were after leaving high school except you have a piece of paper that says you are potentially smarter than the majority of other people. Maybe if people left the country then they'd be able to find employment in other foreign countries, but this would further add to the brain drain that jamaica experiences which was highlighted in a speech by John Issa when he received his honorary doctorate the past weekend. What happens to those of us who want to help Jamaica from the inside and not from the outside. So as I said, how do I feel now that I have a degree, not different in any way but I am forced to pose the question. What are we (graduates) to do with our new found knowledge and experience, after all we dont need a degree to sit and twiddle our thumbs do we. One of the best things about Jamaicans is their ability to rise above whatever is happening and enjoy themselves with very little. Nature has truly blessed our island Jamaica with so much natural beauty and tranquility that it doesn’t take much to set the stage. Once a group of friends get together in the right setting it just needs some good Jamaican food, drinks and music for everyone to have a great time. Recently some friends and I decided to have a cook out; actually we do this very regularly. This time the venue was Langley, Mount James. We all put a ‘smalls’ to purchase food and everyone brings a bottle. Langley is close to Kingston, so we didn’t have to go far this trip. There is a turn off at Golden Spring square, that takes you up the hill. There is what used to be the remains of a great house on the property with a river running through it. Lots of fruit trees and wild flowers grow naturally making the site a real little paradise. The setting was perfect. Over all we had a great day. The music was played from somebody’s vehicle, some great vintage music. There were all sorts of spirits, sodas as well as coconut water and cane juice. By the way, have you ever tried squeezing grape fruit juice into cane juice, try it. Some played dominoes, some went into the river while others just chilled and did nothing. The perfect remedy for stress. I known some of you would have loved to have been there so I took some pictures, enjoy. Ackee,the national fruit of Jamaica is not indigenous of Jamaica. It was brought to Jamaica from West Africa in the late eighteenth century. Its name is derived from the West African Akye fufo. In most areas of the Caribbean the fruit of the ackee is not eaten. It is only in Jamaica that Ackee is popular as an edible fruit. The fruit of the ackee grows in a pod on an evergreen tree. The pod has petals which are originally greenish in colour and bloom during warm months mainly between January to March and June to August.The pod turns from green to a bright red to yellow-orange when it ripens. It splits open to reveal three or four arilli which are white to yellow flesh with black seeds at the tips. 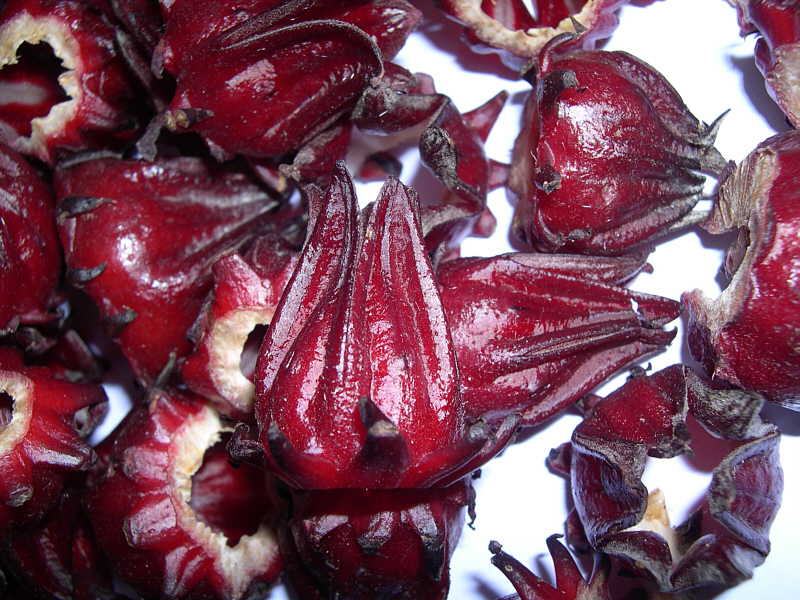 Only the inner, fleshy yellow arils are edible, the seeds at the tips of the arils, and the pod enclosing the 3 or 4 arils are discarded. It is very important for the ackee pods to be allowed to ripen and open naturally on the tree before picking. Consumers of the unripe fruit sometimes suffer from 'Jamaican vomiting sickness' caused by alkaloid toxins,Hypoglycins A and B,found in raw ackees and the inner red tissue of the ripe ackee arils. Prior to cooking, the ackee arils must be cleaned, washed, boiled and the water discarded. Although ackee may be poisonous when improperly prepared, it is also rich in essential fatty acids, vitamin A, zinc, and protein. The ackee fruit is a major export product in Jamaica. The canned product is a favorite of both visitors to the island and Jamaicans residing overseas. Ackee is also enjoyed by Jamaicans at home. It can be eaten by itself or with any ‘salt thing’ as we call it. It is also a part of our National dish, Ackee and Saltfish. I decided when thinking about what to write today that I would not focus on the continuing political rubbish that is currently taking place in Jamaica currently, and instead I would make a post which would instead lighten the mood for everybody. So news has been ongoing for a while now that some crazy Jamaican has yet again decided that instead of being stuck in "boring" ol Jamaica and our nice tropical climate... They are gonna go as far from Jamaica as possible (ie. the south pole) because... well, it was something to do. So basically a young lady by the name of Kim-Marie Spence is joining up with 7 other ladies from the commonwealth countries of: Cyprus, Ghana, Brunei, New Zealand, India, Singapore and the UK in an expedition to the south pole as a way to mark the 60th anniversary of the commonwealth. Now to most people (especially Jamaicans) reading this, this would seem to be marked with all levels of crazy but hey people have done crazier things. When Ms. Spence reaches the south pole she will automatically become the first Jamaican to ever reach there, setting her name in record and history books for years and years to come. Kim Marie will also have the double task of inspiring Jamaicans all around that of course anything is possible, just like the Bobsled team did. The expedition is expected to take 40 days, and during this time the 8 ladies will have to rely on each other and their equipment (tents, dehydrated food, fuel etc) to try to reach the pole and temperatures are expected to drop below -40... The more I type the more I wonder what level of sanity (or the lack thereof) it takes somebody to come to the conclusion to do something like this, but personally I salute you Kim-Marie Spence, you are certainly setting the precedent for more Jamaicans to go into the unknown. I wish you the best of luck. Now this is really not something I should probably talk about seeing as there have been official statements and all stating that Vybz Kartel was in no way involved, but this is however an important thing to speak about. I know I havent been very clear about the topic but what has happened recently is this: Vendors outside of schools have been selling buttons featuring a picture of artiste Vybz Kartel, 1 of them is a picture with him with 2 guns that say "calabar engine" or something like that, and "gaza" on the other said. Apparently there are also, gully side buttons as well but there were no pictures available. Now as previously stated Vybz Kartel has said that he is in no way related to or gains any profit from the sale of these buttons, and I'm willing to believe that. However there is something which I think that Vybz Kartel and Movado and all the other proponents of this silly behaviour should understand: YOU ARE HAVING AN INFLUENCE! This argument about parent's responsibility and that Artists should be exempt has become rubbish. Not to say that parents should be exempt from blame, of course they should be able to monitor their children's activities more but what people are forgetting is that it isn't as easy anymore. Technology has made music available in so many mediums it isn't even funny and kids will eventually be exposed. But yet again, this is a topic for a later post. Back on my point, Artists - your music, your message, your lifestyle it is all influencing kids nowadays. These buttons are just a prime example of that, children are taking this musical (or so they say) warfare, quite serious. It is a serious cause of concern as children continue to fight over something which really should have no effect on their lifestyles. The buttons have penetrated into schools so much that the government has had to take steps to remove vendors from the gate of schools to protect children. Now I remember vendors, they were very much a part of school life. During school we all had personal relationships with them and I can remember many of them by name ('Miss Morgan' 'Creamy', 'Wingy', 'Rambo' etc), and I personally think they are an important part of schools as they help to expose people to a different lifestyle which of course should be explained to by the parents. But the role of the vendor has changed and they are now another source of things which are harmful to children. Yet again I have strayed off topic (I am very passionate about education). But the fact remains Artists, children are listening, they are seeing, and they are following. I am not saying you need to stop being creative as that is your right, but maybe you should re-think the message that you are spreading around for all (including children) to hear. So it seems that our government seems to be having some transparency issues. I say this because due to today's release in the newspapers, it has become obvious to me that we really know nothing at all about exactly what the government is doing when it says that it is doing something. Time and time again we see where suddenly somebody in power has to suffer a case of foot in mouth disease and instead of coming outright and saying "hey this is what happened" they take the childish route and go "but its they're fault" or "I didn't mean to"
This isn't to say that only the current government is at fault in activities. This is quite the opposite, this is to say that the government throughout the years has and continues to be dishonest with the populace. I say this due to the current releases in the paper which says that the former Governor of the Bank of Jamaica and the former Commissioner of police did not in fact resign, no that would be incorrect information according to the government. No instead what happened was that they both were actually dismissed from their positions. In the case of the former commissioner, the reason given was that he was being ineffective in solving the crime problem... Wait, they expect that this one man has the power to stop crime in Jamaica? I didn't know that Jesus works for the government. How else are we going to get salvation? Not only was this an unrealistic task to give to the commissioner of police, this was also near impossible especially seeing how Jamaica's political climate is tied so closely to crime - Yes I came out and said it, we all know it, people are just afraid to say it. The Governer of the B.O.J. was a whole other kettle of fish. The reason given for his dismissal has been monetary issues... $38 million worth of monetary issues. You see apparently the governor was raking in $38 million per year and they knew it. This cant have been a surprise to anybody (except the public), because I'm sure the Prime Minister should be privy to information such as that and yet only recently has it become a problem. But this is not the only zinger regarding the governor... if he is dismissed without reason he still gets paid until 2011(wen his contract officially expires). While the government will have to appoint a new head of the B.O.J. and pay him too... so we're wasting more money yet again. Yay our favourite past time. It is for this reason why I say that it seems that both actions are politically linked and are simply just the JLP showing that it is really in power right now. As the electorate, I believe we deserve to have clear and detailed information on everything that happens in parliament. I would like to even know how much time these ministers spend in the bathroom, just to get a better idea of what is happening because I simply refuse to live in blind ignorance.